Visual Studio Code>Themes>NocturnalNew to Visual Studio Code? Get it now. 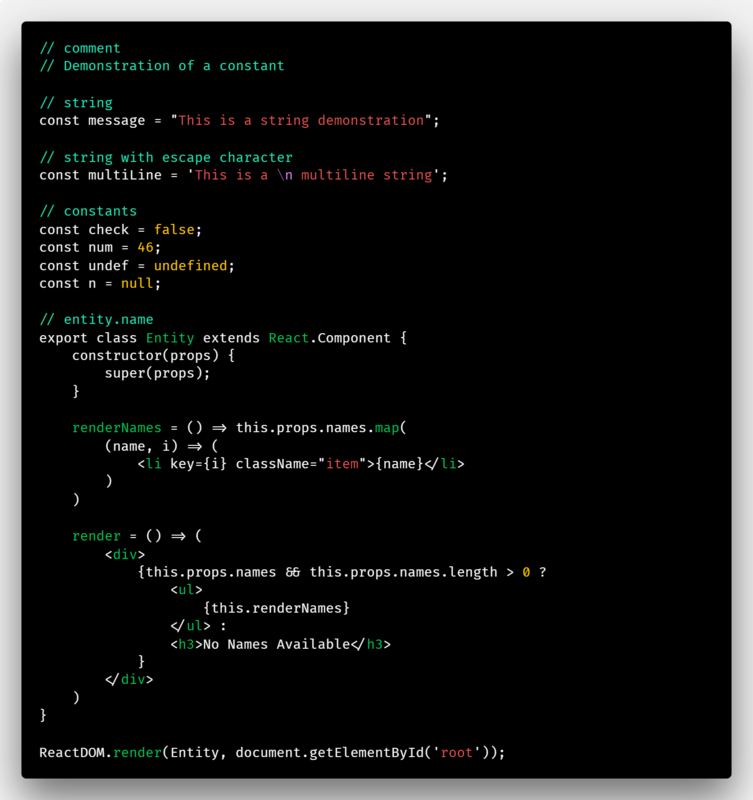 A colorful dark theme for VS Code. This is my first theme set, and any feedback is very much welcome! This theme was inspired by the awesome Alabaster theme. I wanted to be able to have a blacked out version for when the minimal syntax highlighting is suitable. Colors were selected from the Material Design color system. The minimal version of the theme was inspired by the awesome Alabaster theme. I wanted to be able to have a blacked out version for when the minimal syntax highlighting is suitable. 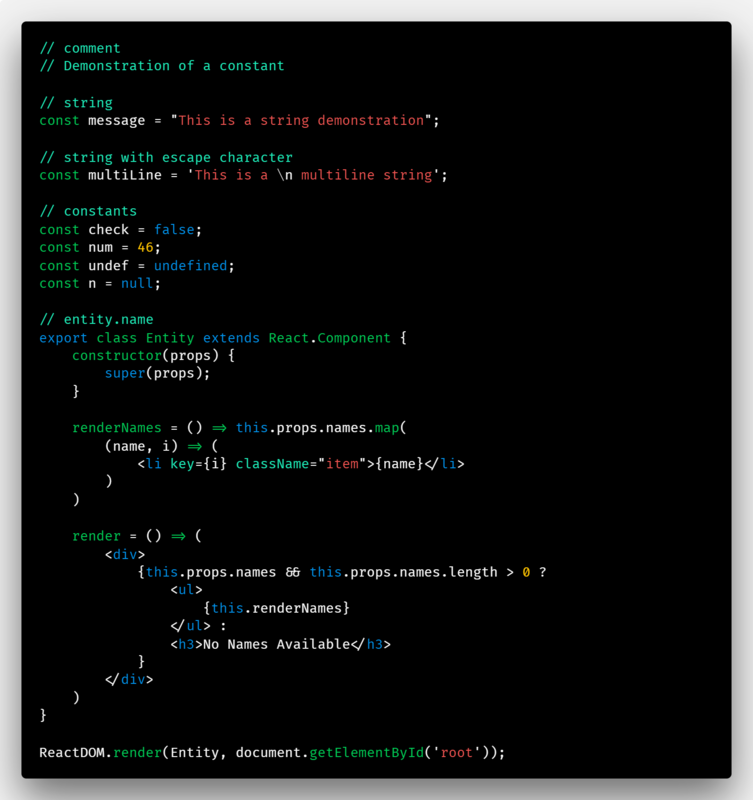 I love the Hyper Term Theme for VS code, but wanted to have a customized color palette and a minimal syntx highlighting version. In the colors array in each theme, settings are organized by shade.